Hymie Gaylis passed away on 11 December 2013, a week before his 93rd birthday. Hymie graduated from the University of the Witwatersrand in 1945 and did his internship at Johannesburg Hospital under Professor I W Brebner and Dr E S Braun. He was a senior house officer in ENT and paediatrics in 1947 and a surgical registrar from 1948 to 1954 at the NEH and Baragwanath Hospital. From 1954 to 1957 he was a senior registrar to Professor Ian Aird at the Hammersmith Postgraduate Medical School in London. During this period he also worked under Mr Peter Martin, who was one of the pioneers of modern vascular surgery in the UK. In 1957/58 he was a clinical and research fellow at Massachusetts General Hospital and Harvard Medical School, and from 1958 to 1959 he was tutorial surgical registrar to Professor W E Underwood at Johannesburg Hospital. In 1955 he was awarded the FRCS (Eng) and in 1979 the FACS. 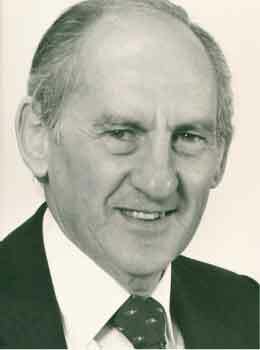 His thesis on 'Experimental production of tendon sheaths' earned him the MS degree in 1953, and he obtained his MD in 1977 for his thesis entitled 'Studies in the diagnosis and treatment of peripheral vascular disease'. On his return from the USA, Hymie started a private practice in vascular surgery. He was a part-time consultant at Johannesburg Hospital under Professor D J du Plessis from 1983 to 1986 and under Professor J A Myburgh from 1977 to 1982, and part-time head of a clinical surgical unit at Johannesburg Hospital from 1983 to 1986. He was responsible for establishing a vascular service in Johannesburg and together with Mr Len Stein was responsible for teaching vascular surgery to residents in the postgraduate programme of the University. Hymie was one of the pioneers of modern vascular surgery in South Africa. During this period the first aortogram was performed at the Johannesburg Hospital by direct puncture of the aorta using a lumbar approach, before the direct femoral artery approach was established. In the early days of vascular grafting arterial grafts were made from parachute material and were sewn by the wives of the surgeons. Freeze-dried vascular grafts from cadavers were used at a later stage. Aortic aneurysms were initially resected totally, which was a tedious procedure. This technique advanced to the present-day method of grafting into the wall of the opened aneurysm. I had the privilege of assisting Hymie during both of these eras. He was a meticulous surgeon, and his results were always predictably excellent. He operated with a quiet and calculated efficiency. Hymie was an excellent teacher of both under- and post-graduates. He frequently made presentations at the Saturday morning surgical grand rounds, and these were of a high standard. He also regularly delivered papers at the annual congresses of the Association of Surgeons and at Surgical Research Society meetings. He served on the editorial committee of SAJS, and published 52 articles on vascular surgery. Hymie was a perfect gentleman and was liked by all. He was married to his wife Rhoda for 60 years. Together they hosted many departmental parties, and these were always very pleasant occasions. When Hymie retired he moved to San Diego, where his two sons Franklin and Brendan were established in practice in radiology and urological surgery. He regularly attended the weekly surgical meetings at the University of San Diego. I had the privilege of visiting Hymie and Rhoda in San Diego just three weeks before his passing. He had suffered an acute illness and was bedridden, but still able to reminisce about old times. He smiled several times when talking about the Du Plessis era in the Department of Surgery. Hymie will be remembered by many, especially by the vascular surgeons he helped train - they are scattered among many countries all over the world. He and Len Stein not only pioneered vascular surgery at Wits, but elevated it to recognised world-class status. We are indebted to Hymie for his dedication to vascular surgery in South Africa and for the example he set. He is survived by Rhoda, Franklin, Brendon and five grandchildren. We remember him with great esteem.